Maybe not a word that you link with human performance but actually you really should. 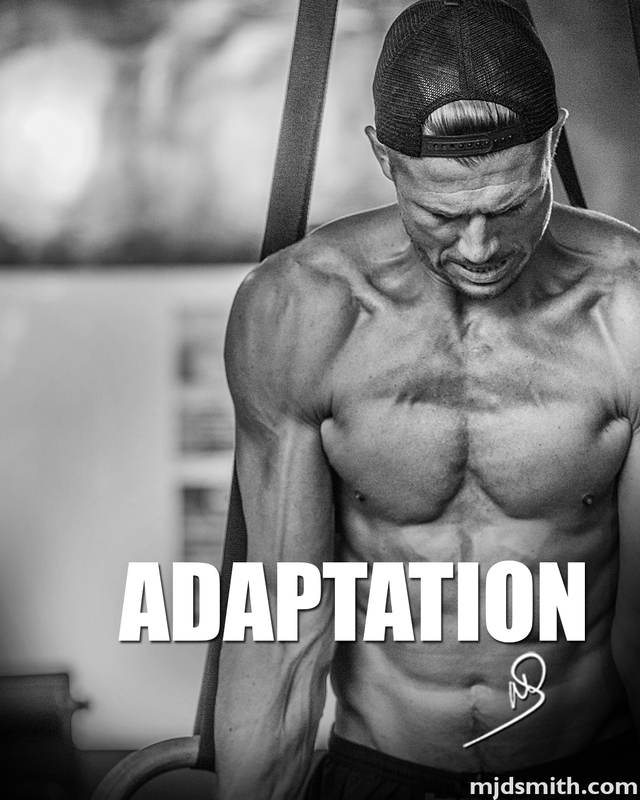 As the definition above reads adaptation is about becoming better suited to an environment. Let’s take this into your life and into your goal of ultimate human performance. The more time you spend training towards a certain goal be it physical or mental the more you adapt to the challenges and environment that that goal provides, the more you adapt the more you become comfortable and able to excel in the chosen task. Read more and you become better (and sometimes faster) at reading = adaptation. Complain more and you become better at complaining = adaptation. Run more and you become better at running = adaptation. Lift heavy weights more and you become better (stronger) at lifting heavy weights = adaptation. More for most people will imply more frequently, however the key to adaptation is understanding that more should also refer to longer time spans. Your body and mind adapt very well to things given time and the correct progressions related to your goals. In simplicity, the human body and mind adapts over time and adaptation is a serious tool for increased human performance, the more you do a physical or mental task over a time span the more you become adapted to it and the better you become at it. Give your goals time and let adaptation run its course.